A little over three years ago, I wrote a post called, It's Not You, It's Me: An Open Letter to my Friends. It was about how I had changed since Sweets' diagnosis and how I was working my way back to the person I was before. And how it was taking time... more time than I thought. And how my pulling away had nothing to do with them. It was me. I wish I could tell you that the friends you have the day your child is diagnosed are still going to be the friends you have when you hit the five year mark. And not in bad ways. In many, many good ways. But in ways that sometimes make it hard for those around us. I still have some close friends that I had BEFORE. But if I'm being honest... I don't have many. It's not that I don't have friends. I do. It's just that all but about one of those friendships has changed. We've grown apart. We don't hang out as much. We don't know what's going on in each other's lives anymore. We're still friends. We just aren't as close. Maybe this would have happened anyway. After all, friendships change over time no matter what. And maybe this is just MY experience. But I have a feeling I'm not alone. The good part is that I have lots of new friends. Friends I didn't know before diabetes made itself part of our family. Friends I would never have met otherwise. Friends who are spread all over the county. Some of which I've never actually met but know better than people I see every day. I am incredibly grateful for these women and their children. But it doesn't take the sting out of the friendships that have been lost. It's not something we talk about much How we miss the way things were BEFORE... for US. How we wonder if it's our fault that things have changed. If it was something we did. Or said. Maybe we just aren't that fun anymore. Maybe it's a drag to hang out with us. If we can even hang out anymore. Maybe it's too complicated with not being able to find a sitter or the constant phone calls from the sitter about what to do or the fact that we're exhausted and can't stay awake past 9pm. It's not you. It's them. 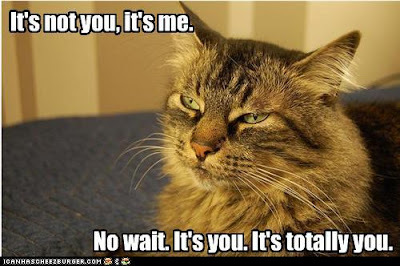 Well, maybe it IS you. A little. Seriously... I'm not saying that friendships change and end because of nothing you do and everything that someone does. It doesn't work that way. But... when the going gets tough and someone can't stick it out... Sometimes it has little to do with you. Maybe they can't handle it. Maybe they don't like all the medical stuff. Maybe they are jealous of the time you have to devote diabetes. Maybe they are jealous of the diabetes friends you have. Maybe they are jealous of the attention you get. Maybe they resent you not being the same person. Maybe they don't want to hear about it. Maybe being with you is uncomfortable because they don't know what to say or how to act. Maybe it's all of it. Maybe it's none of it. Maybe it happens so gradually that you don't even realize it until you wake up one day and realize you haven't spoken in months. I read that blog that I wrote over three years ago and it hurts. Because I never got to back to who I was BEFORE. I said I was trying. I said I'd get there. Maybe I just gave up. Maybe I quit trying. Maybe it didn't matter because it wasn't ever going to happen. I'm just not the same person I was before diabetes came into our lives. 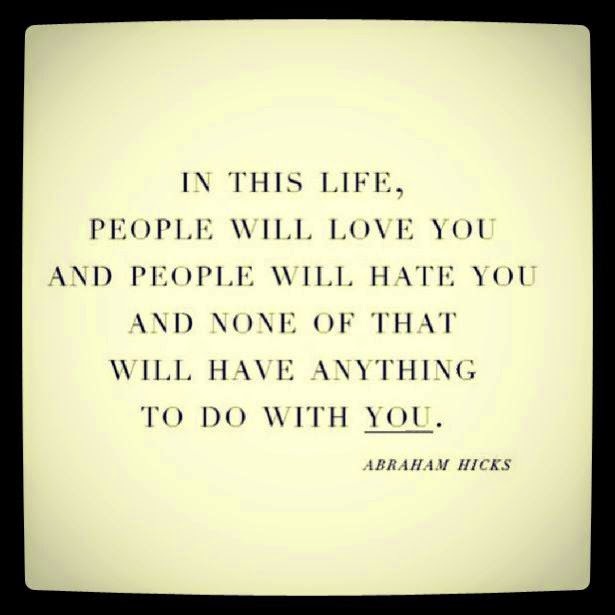 I guess now I can look at those friendships that have burned out or changed and say - It wasn't ALL ME. It wasn't ALL my fault. It wasn't all their fault either. I suppose it was naive to think that nothing would change. Just like it's naive to think that this is the end of the story. Not back to who I was. That person is gone. But back to someone pretty close. 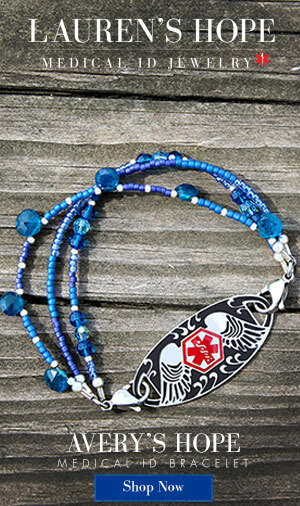 Someone who is ready to embrace both the diabetes world and the life outside of it. Simultaneously. Because each has something wonderful to offer. 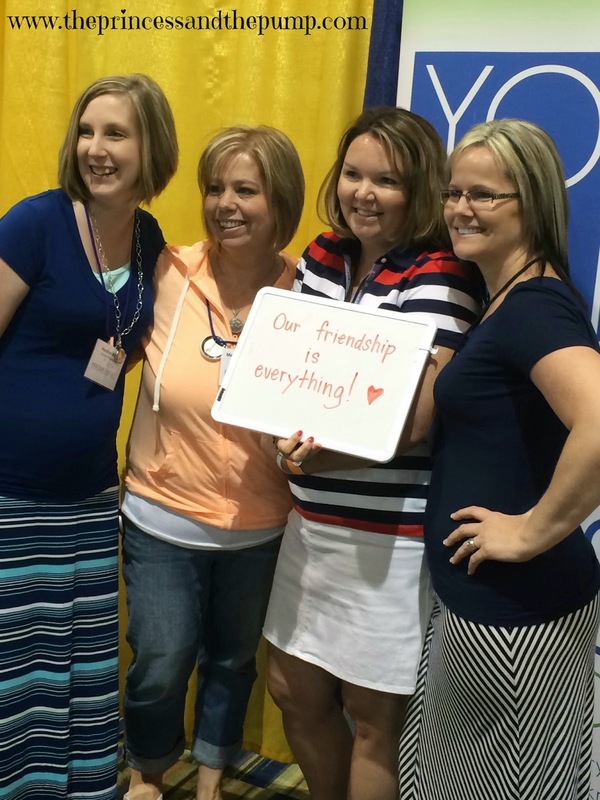 At the beginning of July our family went to the CWD Friends for Life conference in Orlando. 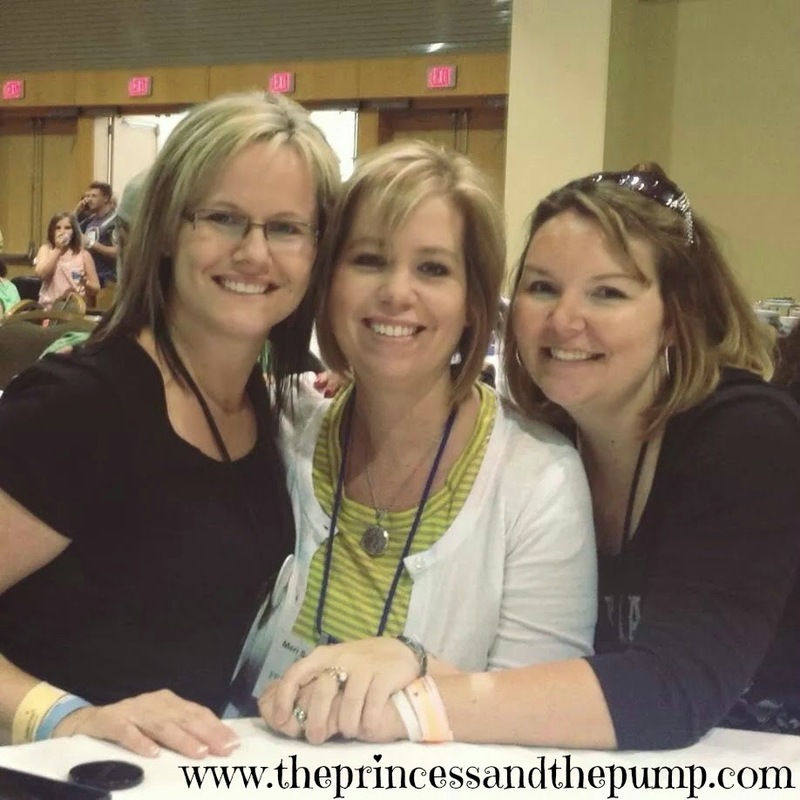 It was our first time attending the conference and it was wonderful! 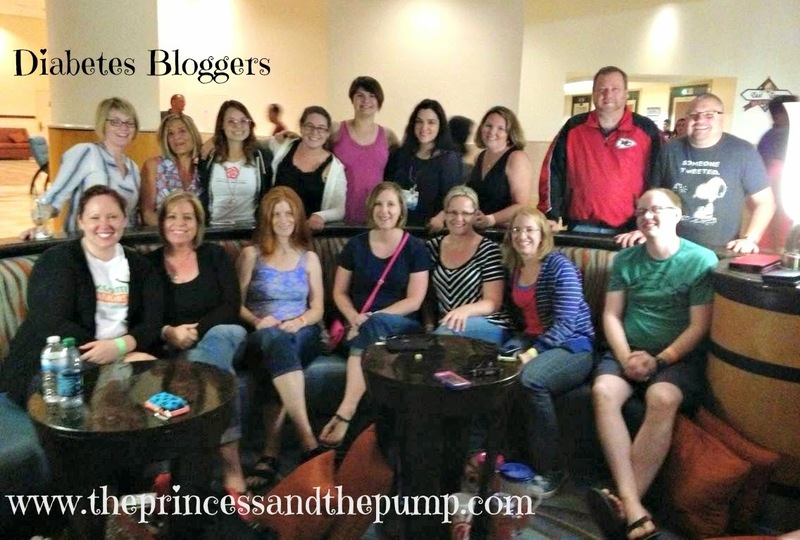 It's taken me forever to write about our experience at FFL! I think it's because it's so awesome, so overwhelming, so fun filled that I just have no idea where to even start! I think the best way for me to share our fun and experiences is through my pictures! This was the view from our room! 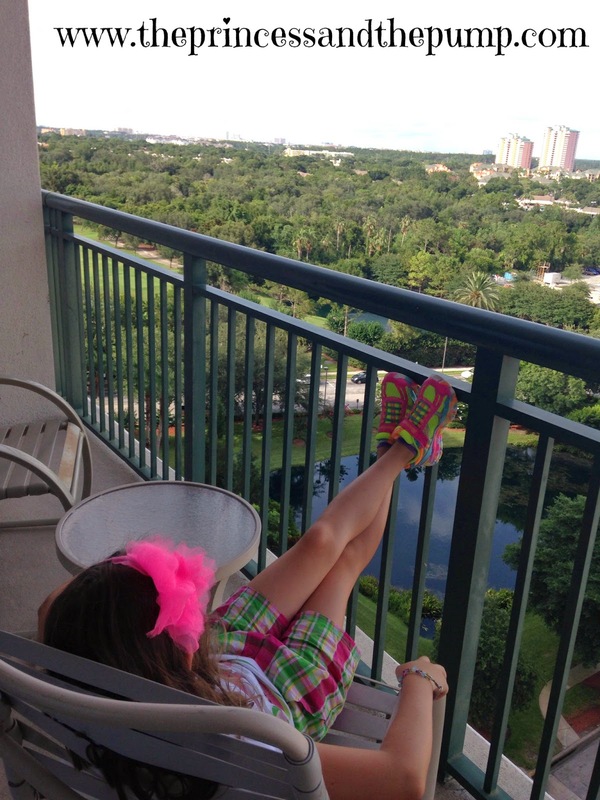 Sweets liked kicking back on the patio! One of the first things that Sweets did was participate in a session called Rev Your Engines. The kids were divided into teams and the teams were led by either Charlie Kimball, Phil Southerland, or Jay Hewitt. Sweets' group was led by Jay Hewitt. They had to answer questions about diabetes to earn different parts of their race car. Once they had all the parts they got to build their car! She LOVED this! They call got hats - which she also loved! 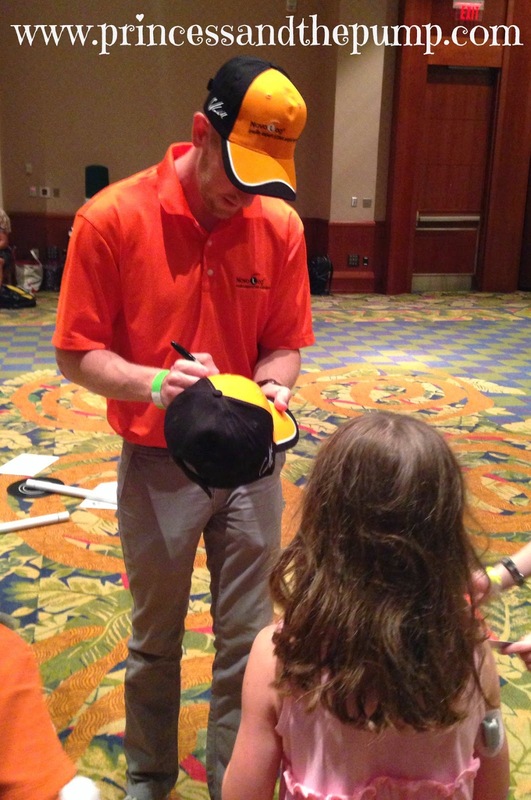 She asked Charlie to sign her hat! Sweets also really loved the sessions she went to with the other kids! She had a great time doing all the different activities. Her age group did things like a scavenger hunt, dancing with DJ Miles, meeting the special guests (She was so excited to meet Kevin Covais! Or Victor from Good Luck, Charlie as she calls him! ), playing around in Sports Central, and some discussions about things they liked and were worried about concerning diabetes. She couldn't pick her favorite thing! This is her testing with one of her teachers! She also loved all her teachers!! She's always been a little on the shy side when she first goes with someone she doesn't know. And she can be especially nervous when it comes to someone else handing her D care. But she didn't hesitate here at all. She happily went in to her room with no hesitation or worries at all! That's BIG folks! Sweets also was a big fan of the exhibit hall! We liked it, too... but Sweets LOVED it! And why not?!? FREE STUFF! She loved all the stuffed animals. pens, t-shirts, balls, bags... you name it! 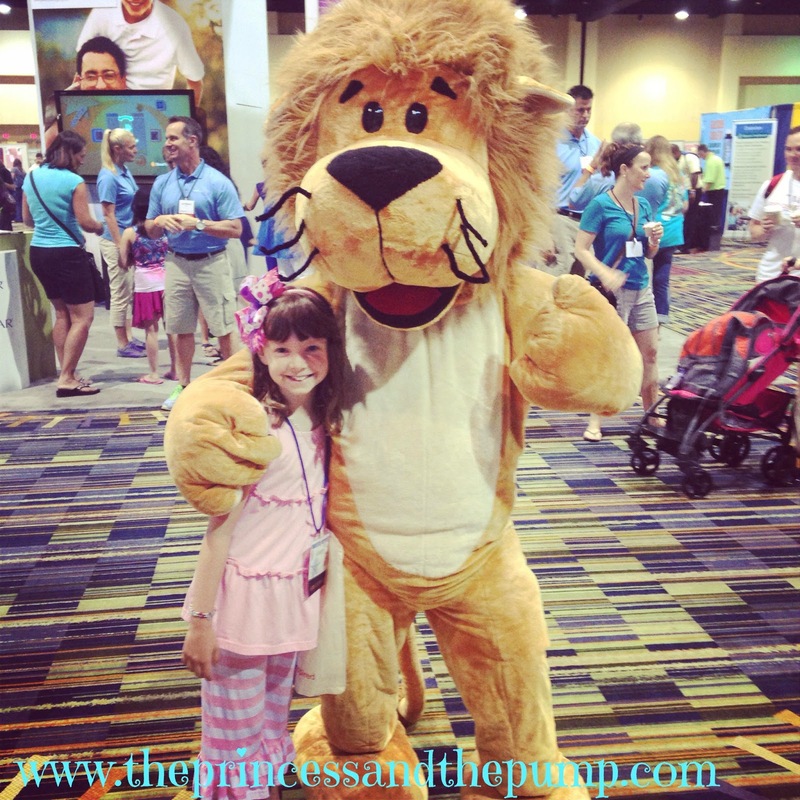 She loved meeting Lenny from Medtronic! 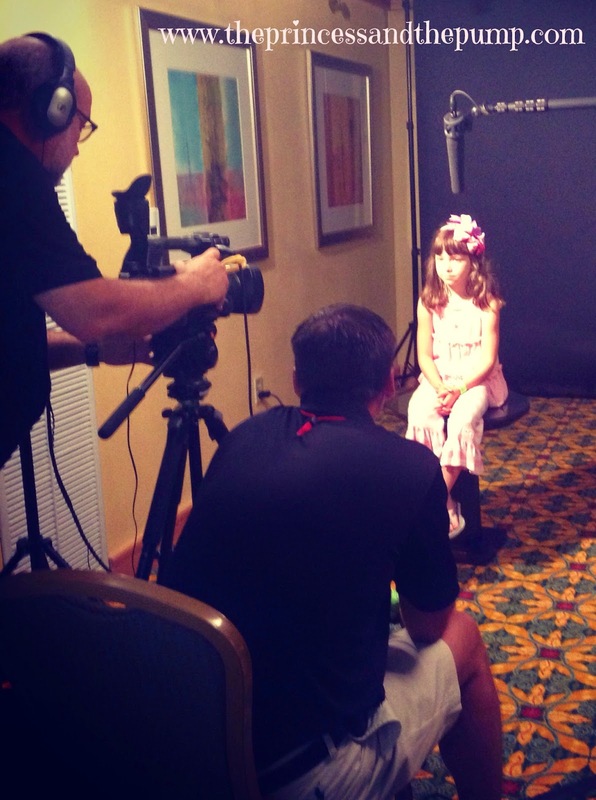 One of the special things that we did while we were there was an interview with Dexcom. Sweets really enjoyed being asked questions!! I'm not sure yet what it will be used for - but when I know, I'll let you know! She did a great job! I was interviewed as well about our LOVE for our Dexcom and how we couldn't live without it. I, however, cried through the interview when talking about the scariest night of our lives. I don't love to talk about it but it's one of the main reasons why I feel so strongly about how wonderful our Dexcom is and why I am so passionate about it! Sweets is also a Dexcom Warrior! I wrote a little something for them to use on their website and soon she will be featured on the Warrior website. 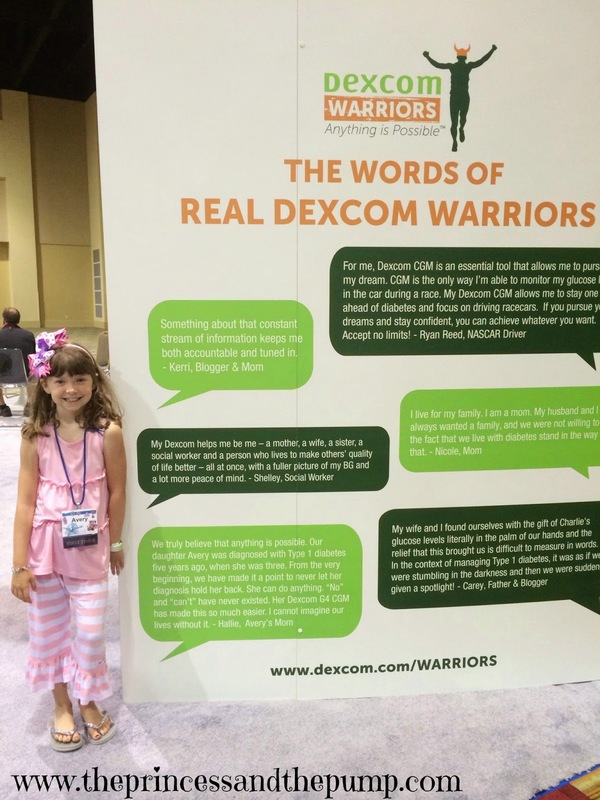 She was excited to see her name on the signage at the Dexcom booth so she had to pose by it for a picture! Sweets made some great new friends at FFL as well! These are Heather's girls! Heather and I have been friends for years and this was the first time our girls got to meet! 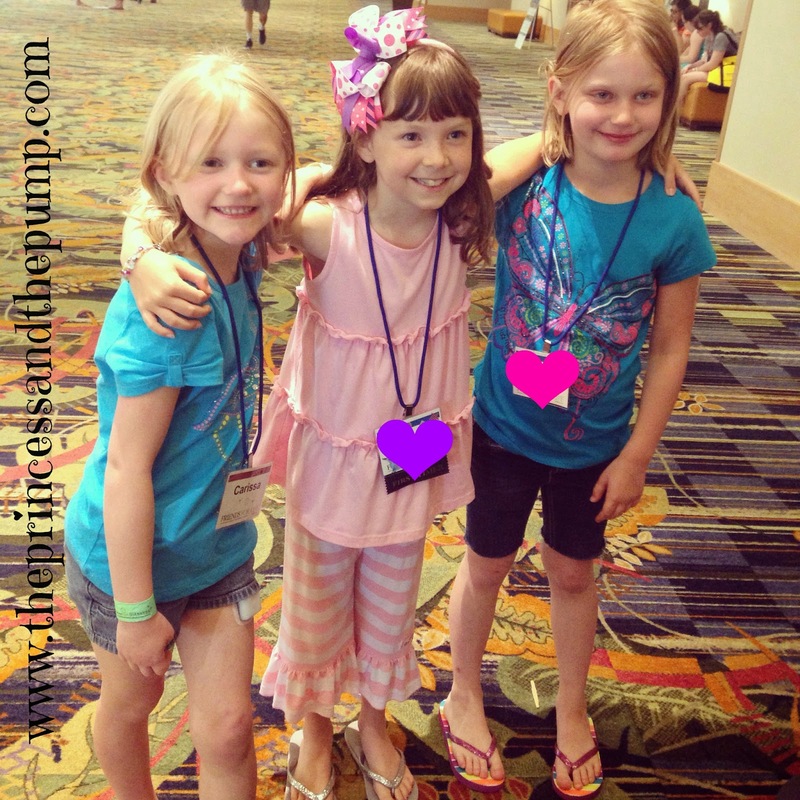 All three girls wear Omnipods and Dexcoms! 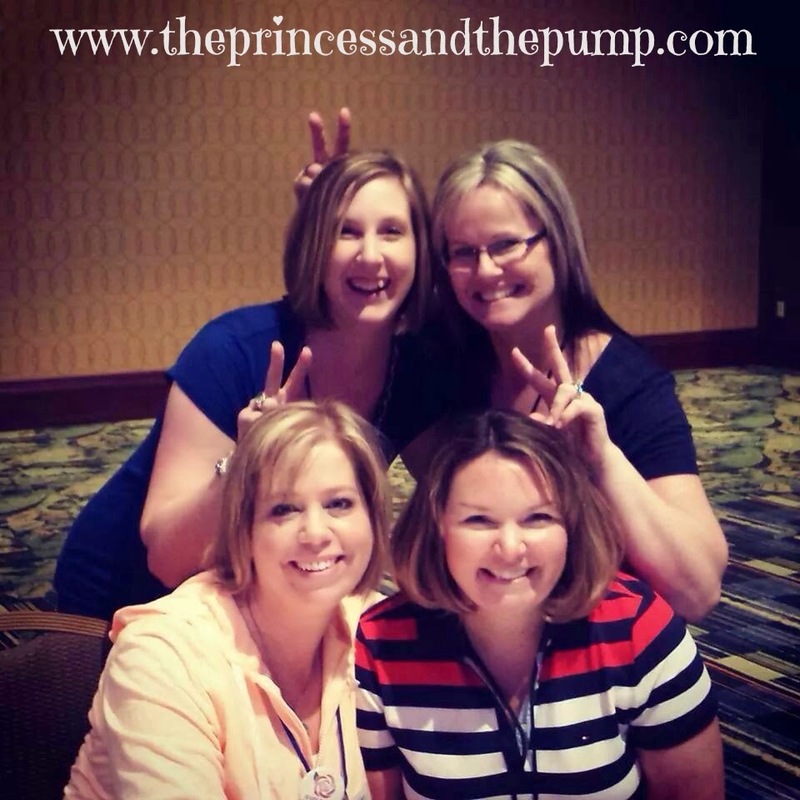 They loved hanging out in their sessions and at the pool... Basically all day long every day! Another great friend Sweets got to hang out with was Lora's daughter! 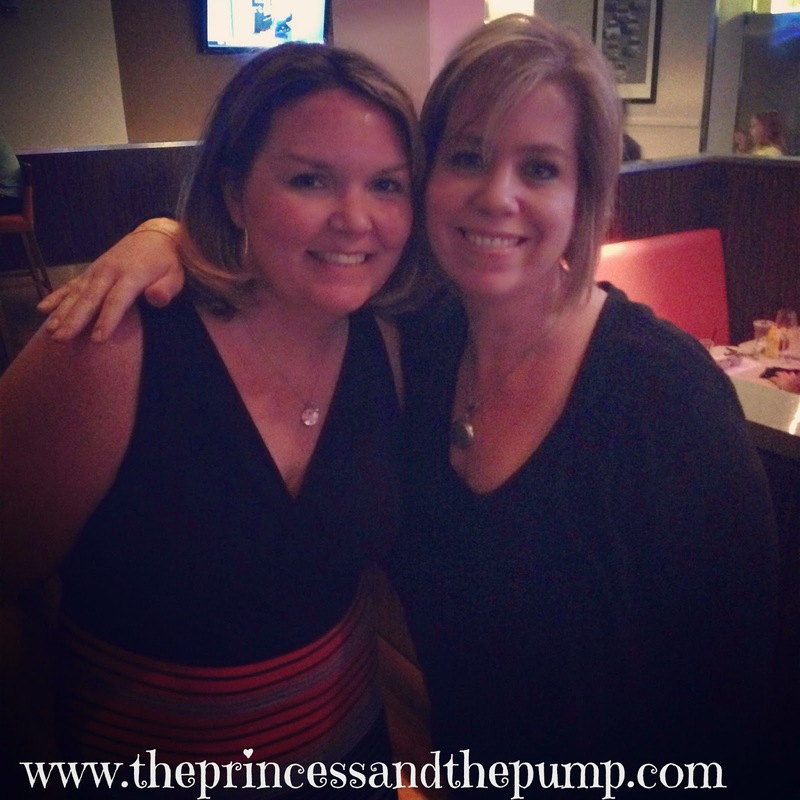 We met them YEARS ago when we both had just started blogging. They live in Florida where we go to visit all the time so we get to see them multiple times a year! Even though there's an age difference, they love each other! They pick up right where they left off! And I totally trust Sweets with her! She and Sweets went down the water slides and swam in the pool and I had no idea where they were... and I wasn't worried one bit! That's big, too! We also enjoyed the sessions! It was hard to decide what sessions to go to! J and I often went to different sessions to make the most of our time. Between the two of us, we went to sessions by Gary Scheiner about striking the spike and treating hypoglycemia, sessions about the bionic pancreas, the gut and autoimmunity, information about diabetes and school, and a session by Joe Solowiejczyk, author of The Type 1 Diabetes Guide to the Universe and founder of A Mile in My Shoes. I loved his practical advice! I took this picture of the Grandparent's track because I thought my parent's might be interested! For me, the absolute best part was meeting and hanging out with my "old" friends and making some new friends! Meri, Heather, Lora, and me! We have all known each other for years and years! We've been through all kinds of stuff together... even though we live all over the country! As wonderful as it is to chat on the computer... it's so much better to hang out in person! I also loved meeting some of the folks I've known online for years but never actually met in person! There were lots of late nights spent gabbing with friends. 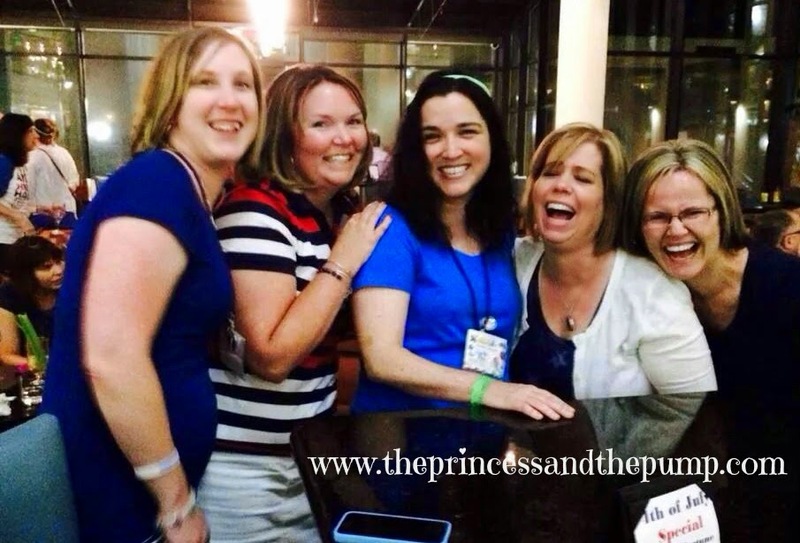 This is probably one of my favorite pics from all week... Heather, me, Kelly K, Meri and Lora. It pretty much sums up the whole week! Lots of laughs. Lots of love. Lots of memories! After all, what else do you do with your Friends for Life?!? We had a great time and I know we will be back! I highly recommend it - especially to anyone looking for the feeling of "same". There's something very powerful about being in the same place with so many other people who are living the same life and dealing with the same kinds of things that you are. For information about the fall/winter conference, click here! Tonight I will be speaking at JDRF FUNdraising event about taking diabetes back to school! 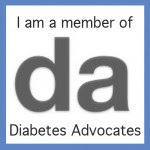 While I am in no way an expert, I do have a unique perspective as a teacher and the parent of a child with diabetes. Since this is something that is on our minds... or will be soon... I thought others might be interested in the things I'm sharing tonight about going back to school! Whether you are sending your child with diabetes to school for the first time or you have doing it for years, there are some things you might want to consider before the first day! Keep in mind, the following is all based on our personal experience as a family and my experience as a teacher. What works for us and is important to us may not be the same for you. Also, our experience is elementary based but can definitely be modified to meet the needs of your middle or high school student. We would rather our daughter be included in all treats and special occasions than to sit out or have something different from the rest of the class. We know that covering these treats may not be done perfectly or like we would do it but feel that it’s ok on occasion. This is when we stress that she CAN eat anything and SHOULD be included in all activities. We discuss our plan for this - when she is to go to the nurse to check her bg and get insulin, etc. You might prefer to send in treats so that your child always has something with a known carb count or have your child bring rewards home. This is entirely up to what works best for your child and your family! We have created a special bag for our daughter to take with her during emergency drills that she keeps in her classroom. We also know and have had some issues with her not being able to perform/remember/etc when her blood sugar is low or dropping so this is when we talk about that and ask that she be reminded to look at her cgm and write that number on top of all tests. * training staff about type 1- including bus drivers! Again, there is no right or wrong way to handle these things! It will vary and depend on the needs of your child and other factors like school/district procedures and policies. Some nurses have previous experience dealing with T1 and some do not. Something that I like to stress during this meeting is that every T1 is different so how it was handled with a previous or current student may not be the way it should be handled for my child. For example, the amount of free carbs given to treat a low might vary considerably. I also approach this meeting in a spirit of teamwork and collaboration. I try to be as flexible as possible while making sure my child receives that care that she needs. You will want to make sure you have extra supplies including meters, strips, juice boxes or other low treats, extra pump supplies, possibly extra insulin, alcohol wipes, ketone tester and strips, glucagon, numbing cream, teagadrem, lancets and lancing device, etc. This can save you from running to school all the time if something happens! I also give the nurse copies of our diabetes fact sheets, directions on how to use our insulin pump and cgm, and information sheets. I give her copies of the fact sheet for the special area teachers and ask her to pass them out. I come with copies in hand and do not ask her make copies on her own! You can also make lanyard tags with diabetes information to give school staff (template can be found above!). Creating a 504 plan is a personal decision for you and your child. My feeling about a 504 plan is that it’s best to get one when everything is good and wonderful and you don’t need it instead of waiting until there is a problem. I actually created one for my daughter when she was still in the same school building as me because I wanted her to have it in the future! You can find my sample 504 plan and links to other plans for children of different ages using different insulin therapies above. ** This was taken from the ADA Safe at School site and my notes from the Safe at School session at FFL! Please see this site for more detailed information! There is a wealth of information there! I suggest contacting your school nurse or principal about creating a plan. Different school districts have different people who are responsible for creating these plans. It could be the school counselor, psychologist, special services director, etc. The nurse or principal can tell you who to contact. You may be welcomed to create your own plan or the district may want to use a form of their own creation. Again, I approach these meetings with a spirit of cooperation and collaboration. Many of the people you are working with you to create these plans do not understand or have a lot of knowledge about type 1 diabetes, it’s effect on the body or academics or the needs of people with T1. It's very likely that you will need to educate! This is very important to creating an effective plan! Most educators truly want what is in the best interests of your child and will want to do what is needed in order to make sure your child is successful. They just might need some education! It’s not uncommon for staff attending these meetings - especially if no one has had a plan in place before - to be worried about what is going to be required of them and that you are going to have unrealistic expectations. This is why I try to approach all meetings in a very non threatening way and try to be as flexible as possible while making sure that my child’s needs are met and her safety is the top priority. Your willingness to work WITH staff and not against them will go far. See if the lunch menu is online. Some have the carb counts listed online. If not, you may be able to obtain that information from the food services office. We always pack a lunch for our daughter and include a list of items and carb count for everything! You might want to take your child with you to the meet the teacher and nurse. Especially for young children, learning where there classroom is and where the clinic is and how to get from one to the other before the first day can alleviate lots of nerves. If possible, ask if you can come in to talk to your child’s class about type 1 diabetes. Disney has created some wonderful books that are great for explaining it to little ones and there are other wonderful books for older kids. My daughter loves for me to come in and read a book to the class and answer any questions they may have. It helps her feel more comfortable. It’s not always possible for me to go in so this past year I just gave the teacher the book for her to read at her convenience. Now that she’s older, my daughter was able to answer the questions on her own. The nurse may also be a good person to include in this! If your child is older, he or she may want to have a few minutes to talk to the class and explain what everything is. This has helped relieve a lot of anxiety for us when she knows that her classmates know what her devices are, why she’s going to the nurse all the time, etc. There could be a million other important things to include when thinking about going back to school with type 1 diabetes, but hopefully this list can help you in some way! If you have a tip, feel free to leave it in the comments! Again, your child's school experience is going to be unique! What works for us and is important to us may not be to you! And that's ok! Just like we all have different pumps, cgms, meters, and ways of doing things - there's no one size fits all when it comes to school either! During the past couple of weeks, my facebook feed has been blowing up with pictures and stories about Sierra Sandison, Miss Idaho 2014. Because Sierra has type 1 diabetes. And she prominently and proudly wore her insulin pump on the Miss Idaho stage! Sweets and I were both immediately drawn to her story. When I showed Sweets Sierra's picture, I asked her if she noticed anything special. Her eyes got big and she had a huge smile! "She has a pump!" Yes, she does! How cool is that?!? I reached out to Sierra and she was kind enough to take a few minutes out of her VERY busy schedule (she was waiting on a call from Good Morning, America when we talked! Holy WOW!) to talk to us and answer some of our questions! Sweets was thrilled! She thought up some questions and SHE did all the interviewing! Sweets: Can you tell us about when you were diagnosed? Sierra: It was two months after my 18th birthday. I had just moved out. My dad is a doctor so if I had been living at home I probably would have caught it sooner. I had gotten really thirsty and I was working out about six hours a day because it made me feel better. I was eating a ton but losing lots of weight. I attributed it all to the working out and I didn't think much of it. But then it started getting out of hand. I had to leave class at least three times every period. My teachers were getting so frustrated! Then I went snowboarding. Usually I would go into the lodge to eat lunch and go to the bathroom once during the entire day. But every time I got done with a run I would have to go into the lodge and get water bottles and go to the bathroom. I would drink the bottles on the way up the lift and at the top I would have to go to the bathroom again. And then I would snowboard down and go through the whole cycle all over again. Halfway through the day I called my dad and told him I thought I had a serious problem. I told him I thought I was an aquaholic and was addicted to water! He started laughing at me and asked if I was being serious and if it was that big of an issue. I said yes - that it was weird and he said I probably had diabetes. That was a Saturday. The diabetes educator in my town acutally goes to my church so she brought a glucometer to church with her on Sunday. We checked my blood sugar with all of my friends and pastors around. It was really neat. It obviously was one of the worst moments of my life at the time but it was nice to have it be around people that I love. Sweets: Have you ever had a time when you felt high or low on stage? Sierra: Hmmm.... That's a good question! We have interviews earlier in the day when we are competing and I've had a few interviews where I came out and I was really low. I felt awful about my interview but they usually ended up coming out pretty well. Usually lows are the only ones I feel. I don't feel highs as much. This last week at Miss Idaho I was running high. It didn't totally throw me off but I kept measuring and my blood sugar would not come down because I was so stressed out. Hallie: (I had to interject here!) That has to be scary, too, because you don't want to over correct and end up low! Sierra: Yeah! That's what happened! But the low didn't come until after the show was over. I was about 250 and I kept giving insulin and giving insulin and giving insulin and it just wouldn't budge. Then I gave a lot and when I got back to my room I was about 65. Sweets: How do you handle diabetes on stage or during a competition? Sierra: It is pretty difficult. It's nice when I have my cgm but I'm waiting for insurance to replace it because it broke. So I have to set reminders on my phone to measure my sugar or I'll forget. I also have to remember that if I feel bad it might not be because of stage fright but because of blood sugar. 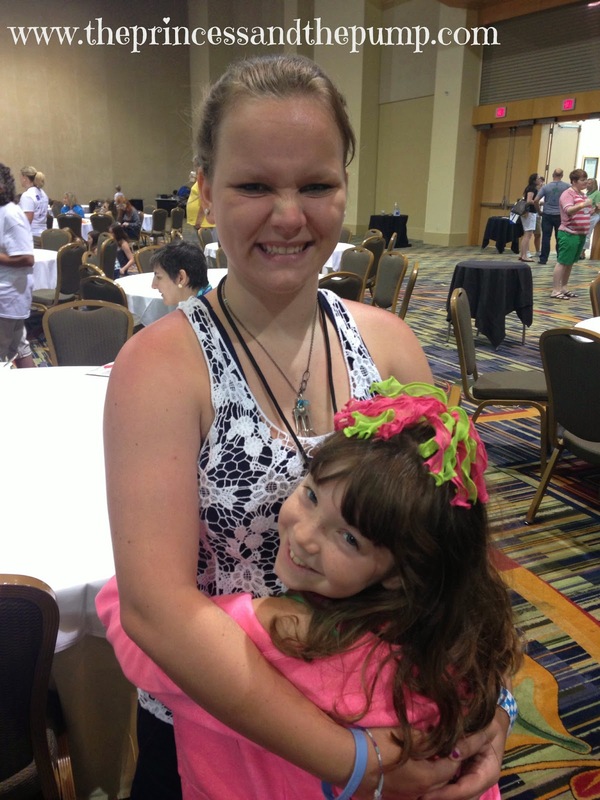 Hallie: What kind of cgm do you have? Sierra: I have a Dexcom G4! And it's pink! Sweets: Have you ever worried that people might make fun of you because of your diabetes? Sierra: Yeah. As a college student, I wouldn't say it's as much making fun of as just misunderstanding what the disease is. For example, my friends might tell me that I can't eat this piece of chocolate cake or people telling me I can't do something because I'm diabetic. Or they misunderstand the difference between type 1 diabetes and type 2 diabetes. Or what it means to be diabetic in the first place. It's frustrating when people treat me like someone who is sick constantly because I'm totally normal and I can totally do everything that everyone else can do. I do have to monitor myself but I'm very responsible about that. It's frustrating when people undermine my capabilities. Just wearing an insulin pump in general, in high school or in class around young people, they ask questions like "What is that?" or "Your thing is sticking out." if my tubing is sticking out. I don't really care about that. But people will say that all the time in a tone of voice like it's something embarrassing like my underwear is sticking out or if I had food in my teeth! They kind of whisper it to me! It's just not a big deal! Sweets: Does diabetes or your pump factor into your decision when deciding what to wear on stage? Sierra: It does now! Going into Miss Idaho week, I was extremely nervous about wearing my pump and I didn't know whether or not I would do it and go through with it until the last minute. I was so scared. And I kept asking for advice from everyone whether I should wear it. I was so terrified. In the end I decided that it's part of my personal convictions that I don't want girls to think that you have to be skinny or tall or absolutely flawless to be beautiful. That's one of the so called flaws that I have. I wanted to show girls that it can't stop you from being beautiful and it can't stop you from following your dreams. That's why I decided to wear it. As for planning my wardrobe, I didn't have a way to make it more visible. I actually wore it in more than in just the swimsuit competition. The media has misrepresented that and said that I just wore it in the swimsuit competition. But I wore it almost the whole time except for one night in evening gown it ripped out while I was changing. I wore it the whole time - it just wasn't as visible. Going into Miss America, we are being very conscious about making sure I have a wardrobe that I can show my pump with, visibly at all times. It's been really fun and challenging! I'm looking forward to it! Sweets: What is the best part of being Miss Idaho? Sierra: I think it's being able to reach so many people! We each have a personal platform. My platform actually isn't anything to do with diabetes. My sister and I put on sports camps for kids with special needs. It was diabetes when I was first starting but it was really frustrating because when I didn't have a crown or a title no one really cared to listen to me or my message about being beautiful with a pump or the difference between type 1 and type 2. It was really hard to spread awareness without the voice I now have as Miss Idaho. I did have the power to organize the sports camps for special needs kids. It was really fun to be able to help and impact the kids through that. Now that I have this voice, it's awesome to basically have a second platform. I can just post a picture on Facebook and reach so many people! It was hard for me to go out on stage with a pump on. But it's such an easy thing to post that picture online. The response I've gotten... The power of social media is incredible! It's been incredible to be able to reach so many people as Miss Idaho. That's what the crown means to me. It's not about having a sparkly thing on my head or being a princess. Sweets: How do you stay healthy? Sierra: Working out is one of my favorite things. I also try to eat as low carb as possible. I focus on eating vegetables and chicken and fruits. I try to eat as healthy as possible. To stay active, I like to power lift and do crossfit. I run every day and ride my bike whenever I get the chance. In the winter, I love skiing and snowboarding. A lot of people in each of those sports think that sport is the best way to exercise. I really think that whatever you enjoy most is the best way to exercise because what's important is that you enjoy doing it. If you don't like it, you're not going to get out there and get moving. Hallie: Has that been challenging since you were diagnosed? Sierra: Actually it was pretty hard at first! At first I would not adjust insulin for workouts. I would just take the normal amount and then I would start working out and drop really low. I was on an all star cheer team. They were really supportive. I had a hard time with that. We were just getting ready to go to Nationals. That really taught me how to handle my blood sugar in a high pressure situation. Since then I've been really good about making sure I'm a little high before working out and measuring constantly during the workout - especially when I'm riding my bike because I will ride 80-100 miles in one day and I have to constantly eat to keep my blood sugar up. My cgm helps a lot when I have it! Sweets: What is your advice for kids? Sierra: My advice is to try to escape the message that the media gives you. The media feeds us this lie that you have to be tall and skinny and blond and have a symmetrical face and young and just flawless in order to be beautiful and if you deviate from that in any way, whether it's having an insulin pump or that you're only five feet tall or you're a little overweight or your hair isn't thick and long or you have acne... Whatever your deviation from supermodels or girls on the cover of magazines is, it doesn't make you less beautiful. Don't be ashamed or think it makes you less beautiful. Whatever your deviation is, you should be proud of it because it's what makes you unique! We really enjoyed chatting with Sierra! I love her message! 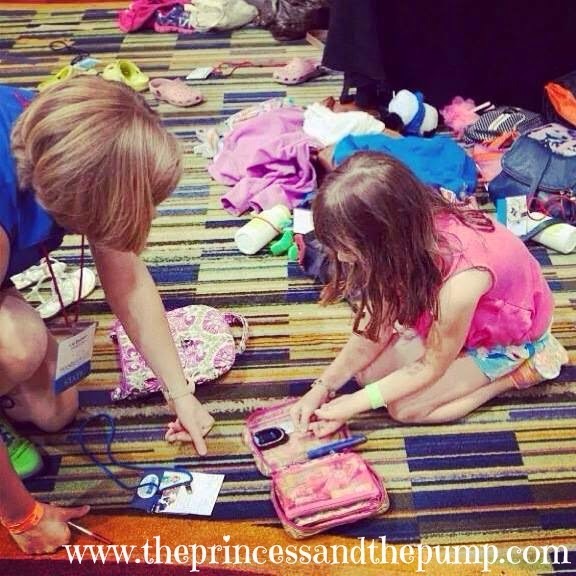 As the mother of a young girl - and especially a young girl with type 1 diabetes - I love that she has a role model who is showing her that her pump and cgm are nothing to be ashamed of! I can tell her that until I'm blue in the face. But SEEING it... that is incredibly powerful! 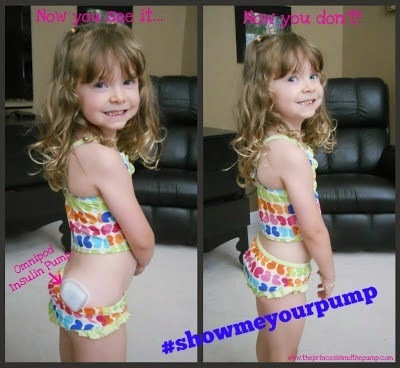 We are so thankful that Sierra had the courage to wear her pump on stage and is now reaching so many with her message! Sierra also wants to hear from you! 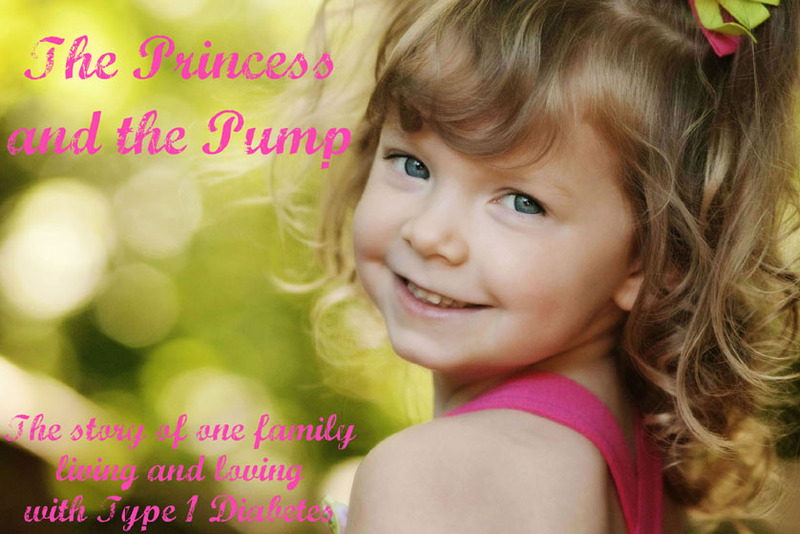 She's started a "Show Me Your Pump" campaign! Just post a picture of yourself with your pump (or cgm... or hearing aides... or whatever makes you unique) with the hashtag #showmeyourpump! 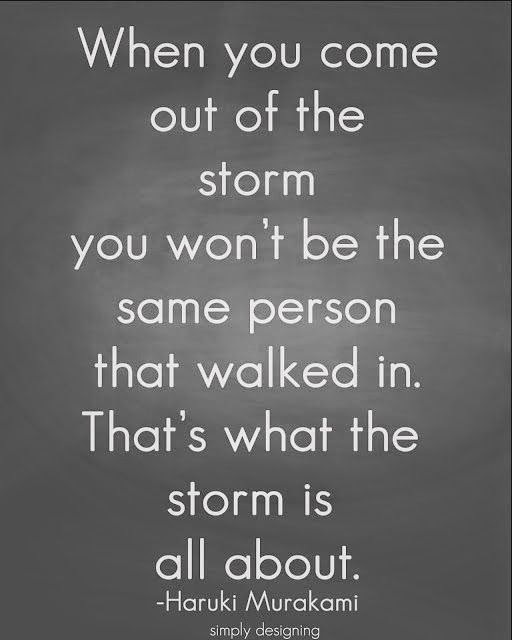 There's power in numbers and something wonderful about sharing that feeling of "same" with people all over the world! 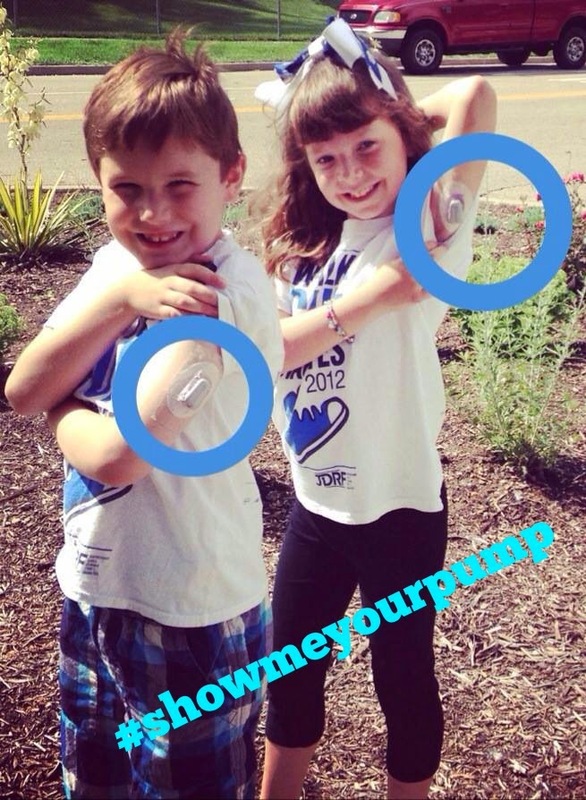 Here are our #showmeyourpump pics! This is an oldie but a favorite from when she first started podding! Now she's a little more shy about showing her tush (Daddy is happy about this! Lol!) so here's a pic of her and one of her favorite D buddies sporting their Dexcoms! 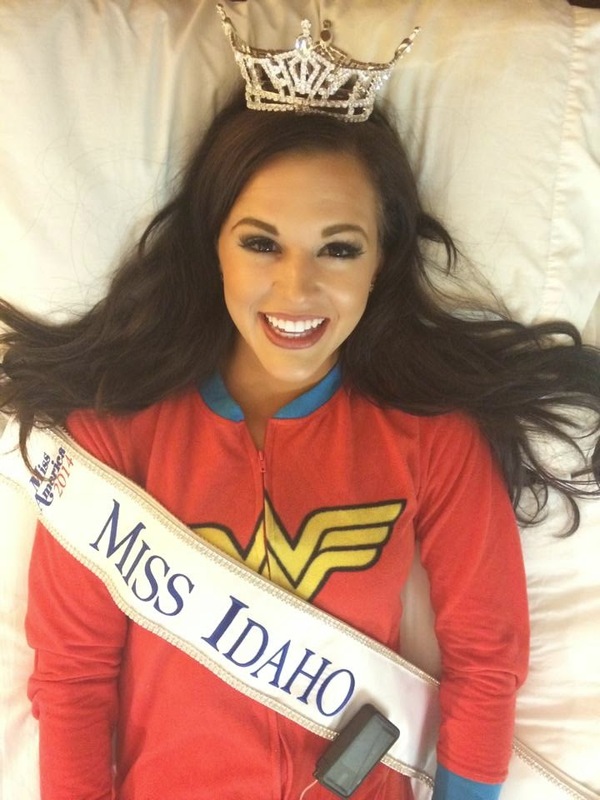 Here's how you can follow Sierra's journey as Miss Idaho and to Miss America! Sierra Sandison, P.O. Box 6159, Twin Falls, ID 83303. Thanks again to Sierra for taking the time to talk to us! We wish her the best of luck and can't wait to see her (and her pump) on the Miss America stage this fall! 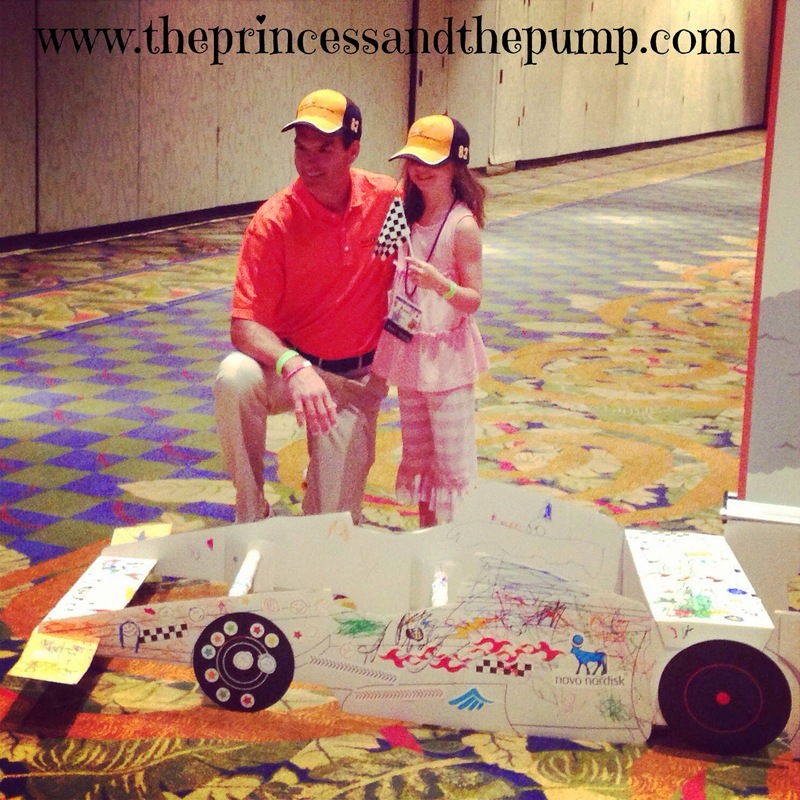 One of the many fun things that we got to do while at the Friends For Life Conference in Orlando was meet race car driver, Ryan Reed! Ryan Reed is the 20 year old driver of the number 16 car in the NASCAR Nationwide Series. Why is this so cool? Because Ryan was diagnosed with Type 1 diabetes in 2011 and was told he would never race again. We know that didn't happen! Thank Goodness!! Ryan has not let his diabetes diagnosis keep him from reaching his dreams. I love stories like this because they are great examples for Sweets. I can tell her these things until I'm blue in the face but getting to meet someone who is actually doing this... totally different! Sweets was able to get her picture taken with Ryan in front of his car! (Not his actual car... but possibly cooler because it was a simulator!) My picture got all burred, however, because someone bumped into me! I would have asked to take another but there was a really long line and I didn't want to hold things up longer than necessary! Ryan isn't just driving his race car and attending FFL this summer, though! Nope! He is also meeting with children (with diabetes) at local hospitals as part of an effort to continue to increase diabetes awareness and education. Lilly Diabetes is supporting Ryan and the American Diabetes Association's Drive to Stop Diabetes℠ national diabetes awareness initiative. 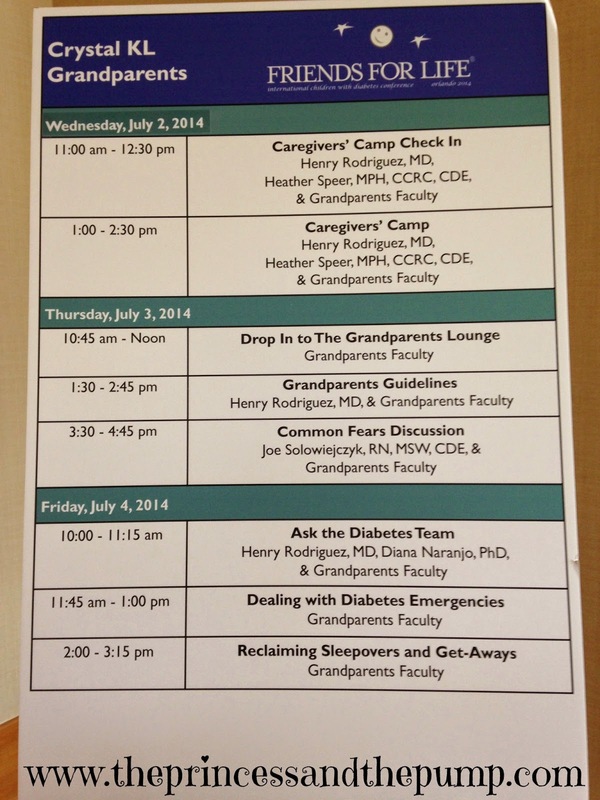 Last week while at Joslin Diabetes Center in Boston, Ryan answered some questions. Sweets and I enjoyed reading his answers and we thought you might, too! Q: How do you manage your blood sugar while racing? 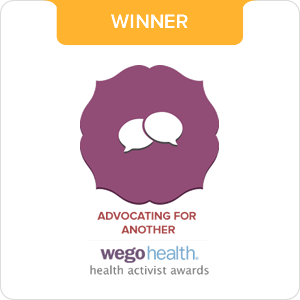 Q: How did you adjust to living with diabetes? What was it like to learn about diabetes while being on the road and racing? A: When I first started racing with diabetes, I had a check list, but now that I have done it for a few years I don’t need a check list anymore. When I first got diagnosed, it was critical for me to keep a checklist of everything I needed to go on the road. I can’t tell you how many times I’ve left my Dexcom or all my sensors at home. I would have my mom overnight them to me, or I would have to turn around and get them. There’s been times my parents drove four hours over night to bring them to me. I learned because of these things. Q: How do you exercise on the road? A: It’s finding time to do something, that’s the most important thing… If I have an hour after a race, I will go on a 3 or 4 mile run or take my bike to some tracks and go for a 30 mile ride – it’s just important for me to find something. When I’m on the road, It’s not always easy to find a gym to go lift weights, but then when I am home I need to make sure I do the strength training so I don’t fall behind on that. It’s tough, that’s probably been the toughest thing that I had to get used to. Last year, I only raced 6 times, so I worked out every day and never missed a work out. This year, I had to get a lot more creative with workouts, and just figure something out. Here are some much better pics of Ryan with the kids at Joslin! So go ahead and share this story with a person living with diabetes (no matter how old they are!). Maybe it will inspire them to go for their dreams and to not let diabetes hold them back! And a big THANK YOU to Ryan for meeting with kids and sharing his story!! Wait! Let Me Take a Selfie! Yesterday I got a very cool email from the very cool folks at the International Diabetes Federation telling me about their new app! I don't know about you but we love apps at our house... especially free ones. And even more so when they involve pictures! "We will continue to use World Diabetes Day to increase awareness of the blue circle as the global symbol for diabetes as it still means nothing to many people! 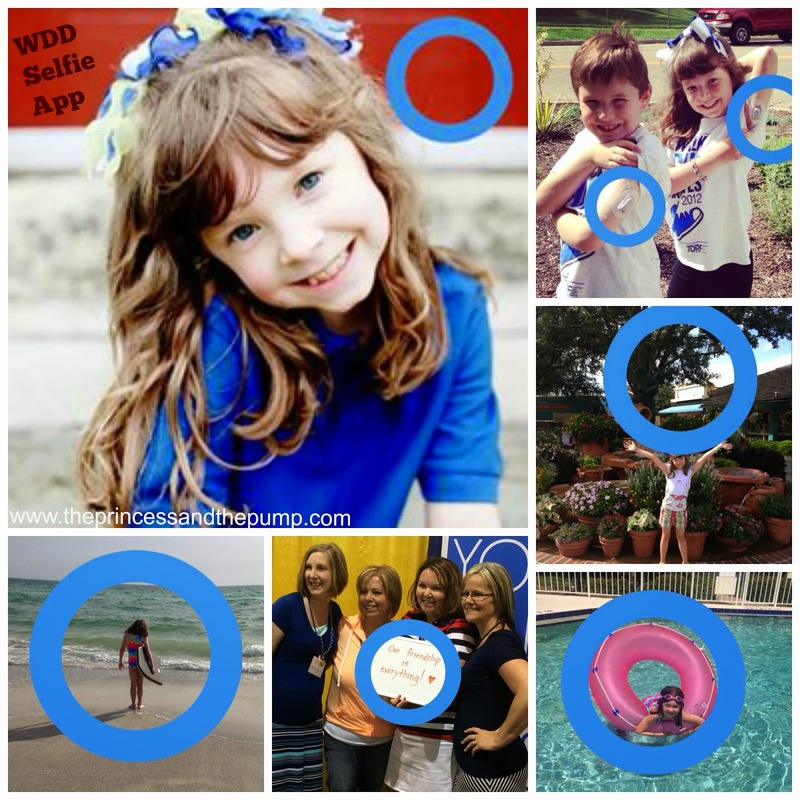 For this reason, we are very happy to announce that we have developed a WDD Selfie App to promote the blue circle in a fun way. Selfies can be taken anywhere such as at a famous landmark, at a concert, at popular event like a marathon… your imagination is the limit!" Eight year old... phone... selfie... Sounds about perfect! It's available for Apple and Android phones. I just went into the app store on my iphone and searched for World Diabetes Day and it came up! Go download and start adding circles to your pics! Warning... It's a little addicting! A few months ago I got an email from a someone asking for advice. And I was impressed... She wasn't asking for advice because HER child had been diagnosed with Type 1. She was asking for advice because her FRIEND'S child had been diagnosed. And she wanted to know how she could help. "Awesome!" I thought. "That's a great idea! I'll just whip out a post about that..."
As it turns out, that was a little more difficult than I originally thought. People are so different.... It just depends. It depends on how you handle and manages T1. And it depends on the age of the child. And the personality of the people involved. And the kind of friendship you have. There are almost as many factors at play here as there are when dealing with diabetes itself! 1. First of all, the fact that you are even reading this and caring is a big deal. Trust me. You may not think so but it is. 2. Learn the facts. Learn as much as you can about this disease. Read books. Look at websites. It's complicated. But when you are suddenly thrown into this new world with a totally new language... having someone who understands that language is a big deal. Someone who know what you mean when you say bolus or basal. Not that you have to learn the intricacies. You don't. But a working knowledge is really helpful. 3. Learn the emotion. Facts are good. But often, at first, the parent of a newly diagnosed child is overwhelmed and dealing with a lot of different emotions. 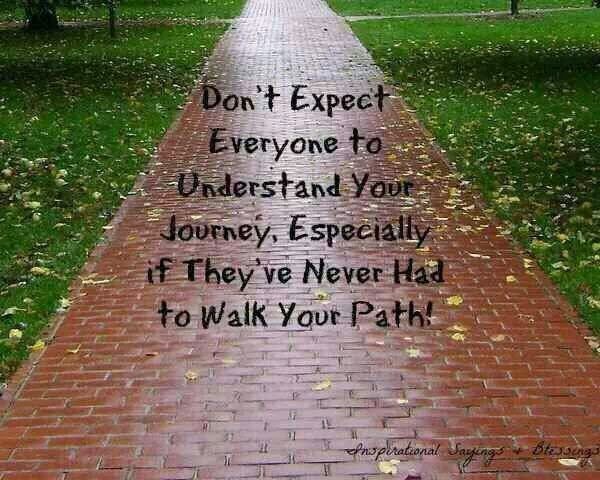 And as much as you want to help and relate... until you go through it yourself you won't fully be able to understand it. I'm sorry - I don't mean to sound rude. But this is true. It's not because you don't want to. It's just the way it is. There are emotions and feelings that you experience when your child is diagnosed that you can't fully express. That you don't even know are there... And unless you're like me and spill your guts all over the internet... I suggest Mommy Blogs. Written by people like me. Who talk about the anger, sadness, grief, pain, happiness, pride, joy... all of it. Your friend may not be comfortable or ready or able to share those feelings. But bloggers like me give you a window into our world. 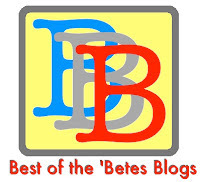 You can find a great list on my blog roll. 4. Offer to learn how to take care of our children. This is especially important when they are little and can't do much- if any - of their own care. Watch what we do. Ask if you can do it while the parent watches. Learn how to count carbs. And check blood sugar. And give insulin. Learn what the numbers mean. What is high. What is low. What is used to treat a low. Watch. Ask to be involved. 5. Offer to actually take care of our children! This is the next step! Once you have practiced, offer to take our kid for an hour. Or more. Whatever you are comfortable with. But here's the kicker... Don't say, "I'd be happy to watch Joe for you some time!" If your friend is anything like me, she will never, ever ask you. Not because she doesn't think you can handle it but because she knows its a lot to ask and doesn't want to ask that of you. Even though you offered. Seriously. I have a HUGE issue with this. Say, "I want to watch Joe. When can he come over?" or "Can Joe come over for an hour on Wednesday?" Be specific. Pin it down. It may make us somewhat uncomfortable - especially at first. But do it. More than once. You have no idea how much this means to us. 6. Ask how we're doing. Ask how things are going. If you have done the above things, chances are you won't get a "fine!". I hate when people who really don't know anything about T1 ask me how she's doing or how her numbers are. They are trying. I appreciate that. But what do I say? It's not an easy question to answer. They won't understand when if I say she's running high and I'm worried she's getting sick or I'm gonna have to overhaul her basal. But if you have a working knowledge of T1 and us and our kid... it's different. And sometimes we need to talk about it to someone who understands. 7. Ask what you can do to help. Maybe we need to sleep. Or go to the grocery. Or go out with our husband. We may be really reluctant to let you help.... but if you see there is something specific - offer. "Can I do your laundry for you? Can I mow your grass?" 8. Treat us like you did before. Most importantly, treat our KID like you did before. Don't be afraid. Our kids really aren't all that fragile. And while we're trying to learn the ropes, we are also trying to make things as normal as possible for our kids. We don't want people to treat them like they are sick or disabled. 9. Get involved. If we do a fundraiser or a walk or something like that, join us. Show up. Support us. Having our friends come to our JDRF Walk to Cure every year is a big deal - to us and to our daughter. We really appreciate your being there for us. We don't expect you to donate lots of money. Just BE there. 10. Talk to your kids. Explain diabetes to them. Maybe we will want to show them... I know that Sweets liked showing off how she checked her sugar and things like that. But your kids are probably going to have questions. I'm always happy to answer those questions... but your kids may feel more comfortable coming to you. On a similar note, one of the best things that my friends did was have "free" snacks available at their houses. Now that Sweets is on a pump, it's not a big deal for her to eat whenever. But when we were doing multiple daily injections, it was MUCH harder. My friends talked to their kids about not snacking in front of Sweets when she couldn't eat. That was BIG. Like I said, now it's not an issue. But when she was 3 and doing shots... it was a big relief not to have to fight her over goldfish crackers when she had just eaten and gotten a shot. This is something that may not be a big deal to everyone - but it was to me. Especially at first. 11. Please don't offer advice. Don't tell us it could be worse. Don't say "At least it's not..." Don't compare us to someone else you know with diabetes. Even if your Uncle Lou had type 2... Even if your friend's neighbor's kid has type 1... Because it's not the same. Everyone's diabetes is different. Everyone handles diabetes and manages diabetes differently. What's doable and comfortable for one family may not be for another. And that's ok. So please don't act like just because Betty Sue down the street lets her kid go to sleepovers or drops her kid off at day camp without hesitation or weighs every morsel her child eats that we should do it that way, too. We don't need your judgement. We don't need your advice. We need your support. 12. Hang in there. We may pull away. We may be depressed or angry or just not that fun to be around all the time. We don't mean to take it out on you. Read this: It's Not You, It's Me: An Open Letter to My Friends Don't give up on us. So that's my Top 12! I'm sure I could come up with more. And I'm hoping my wonderful readers will comment with helpful advice of their own! Because everyone's experience is unique. Thank you for caring enough to try to help and try to understand. Your friend or relative may not be able to express it you now, but your concern and willingness to learn means so much. The only way we are going to not just survive - but THRIVE - is with a little help from our friends!